Investors wiped $2.3 billion from the Chinese automaker’s market value after it indefinitely postponed the launch of its H8 model. Given modest sales estimates, that seems excessive. What’s really at stake is whether Great Wall has what it takes to be a global brand after all. 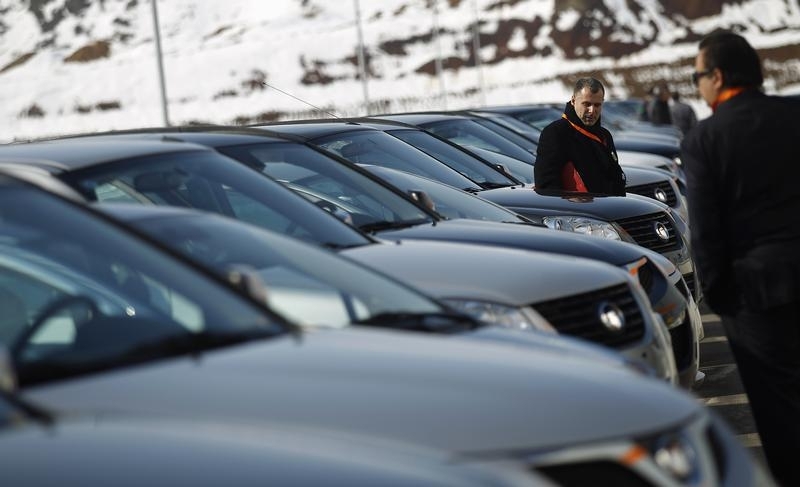 People look at a line of Great Wall cars parked in front of the newly opened car factory of Great Wall Motor Co near the town of Lovech, some 150 km (93 miles) north-east of Sofia February 21, 2012. Great Wall Motor’s Hong Kong-listed shares fell 16.9 percent on May 9 on news that the Chinese carmaker would further delay the launch of its premium H8 sports utility vehicle. The shares closed at HK$27.3. Great Wall’s Shanghai-listed shares fell 10 percent to 28.7 yuan on May 9, and by 11:00 a.m. on May 12 local time (0300 GMT) had fallen a further 7.5 percent to 26.6 yuan. The company said that customers had commented on “knocking noises” coming from the H8’s transmission system, and in its statement also referred to “deficiencies in research”. The H8 model was also delayed by three months in January to fix quality issues.